Sometimes I see dead people walking among us. No, I’m not talking about the spirits of the dead, or demons, or figments of my imagination. Not a hallucination or a symptom deriving from a mental disorder. I am talking about the living and functioning human being. Already dead, on his or her feet. I have an acquaintance who is filling himself with harmful things. A nagging pain within him has him on an endless quest to find something that will ease the pain within. The choices that he makes are killing him, both physically and mentally. The life that he chooses to live leaves him empty. I know him well enough to be able to tell. Random women. Wild thoughts about things I’d rather not mention here. Junk food. Many things that kill his worth. His wild antics and loose behavior reminds me of someone else I used to know. He was a guy that possessed the same behaviors of my acquaintance. Random women, immature actions and words at nearly all times, poor diet and bad habits. I don’t know whether or not it is true for my acquaintance, but this guy had need to speed up the process of living. Death was a desire. Death would be an escape from the life that nothing could fulfill. This guy I am speaking of is myself. I know first hand how it feels to be a walking dead man. The hollow feeling and the weight of the world that is always pushing down. The bitterness that someone or something has caused within a personal life. The escape one pushes to find within their world with things of the world. The addictions: chasing the euphoric feeling that one had experienced the first time he or she first found that something which temporarily filled and fixed the little void of discomfort. Trying to use it, over and over, to mend the underlying problem. The harm of the devices which fix the underlying maladies are disregarded, and the troubled mind convinces itself of the need for the harm. It becomes a good thing. A great thing. The perfect thing, even if that thing is killing the physical, mental and the Spirit of the Lord within. “Were going to die anyway!” The phrase spoken within and audibly as one continues to never see his or her true worth. There is a voice that is silenced within every man and woman. Every child and teen. It is silenced by sin and its many deceptive strategies. Its strength is capable of turning the living into the walking dead. For now. For a season. For now, we are being pulled in the direction of death before we are placed in the ground, burned in the incinerator or stuffed inside a tomb. Some of us are already in those places as we eat, drink, breathe, sleep, and fill ourselves with the things that kill. But unlike my acquaintance, and unlike myself until recently, we have choices to make. We are capable of living. Living now, and eternally. By living in and through The Word of God (Jesus Christ), we are capable. We can listen to His voice as we walk through the valley in the shadow of death, and be comforted. We can be alive. 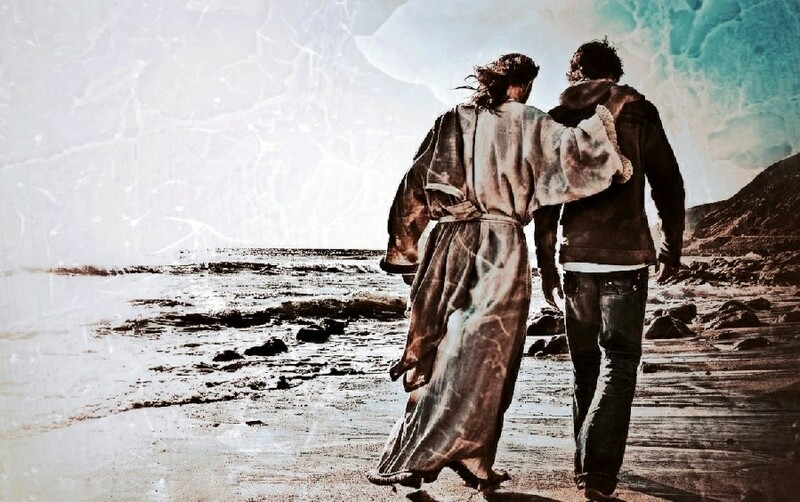 All we have to do is remember that He will walk beside us, but we have to desire His company. I do not agree, but thank you for commenting. There are so many spiritually dead people in the churches. Some even stand behind a pulpit. Religion is full of dead men’s works. Agreed. We just have to pray they begin to have eyes to see. “But we have to desire His company”. How true this is. For many years I heard about Jesus but wasn’t ready to surrender to Him. I went through years of drugs and alcohol and other things that couldn’t satisfy me until I finally gave in and gave it all to Him. Best decision I ever made. Same here man. Even after I was baptized with water, I didn’t yet listen to Him. I had to be conditioned before seeing His love, and the love I deserved to show myself and others. One day at a time, that’s what I say. We’re works in progress, God’s handiwork. He is getting us where we need to be! Boy, can I relate. I’ve been clean for 3 months and 24 days now and it’s still a struggle at times, but I am surrounded by people who are routing for me to succeed and I am so grateful for that, but they can only do so much. I have to do the rest, but the beauty is I don’t have to go it alone. The Lord has saved me on quite a few occasions and, still, I sometimes struggle with letting him take the wheel for awhile. With all I’ve been through, I suffer a lot of trust issues, and subconsciously I know He can do for me all the things I can’t do for myself. We must continue to give ourselves a chance. We are worth it. God loves us with a love that transcends all understanding. We just have to learn to trust in that love and continue to move forward. Agreed. Thanks for reading, as well as your kindness.